The print image features a striking icon representing the new driver technology. The video is a little more revealing, showing an 'old' loudspeaker exploding and the words scrolling on the screen, "Time to break with convention, time to evolve, time for a new breed, a breed that delivers sound like never before," before revealing the shadowing outline of the new product and a driver echoing the icon from the print image. Luke Ireland, Managing Director, said, "This new product range will feature ground breaking technology that will further Martin Audio's credentials as a true innovator in the install marketplace and give our customers a clear competitive advantage. 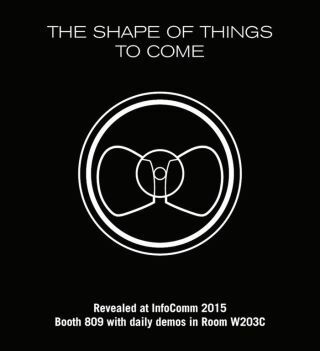 We are extremely excited to showcase this technology at InfoComm 2015." Ireland continued, "The range will play a major part of the listening experience in our Demo room W203C which runs from Tuesday 16th June." Summing up, Ireland said, "This is our most important new launch since MLA back in 2010 and represents the greatest opportunity to be recognized as a worldwide leader in the permanent installation market for loudspeakers."